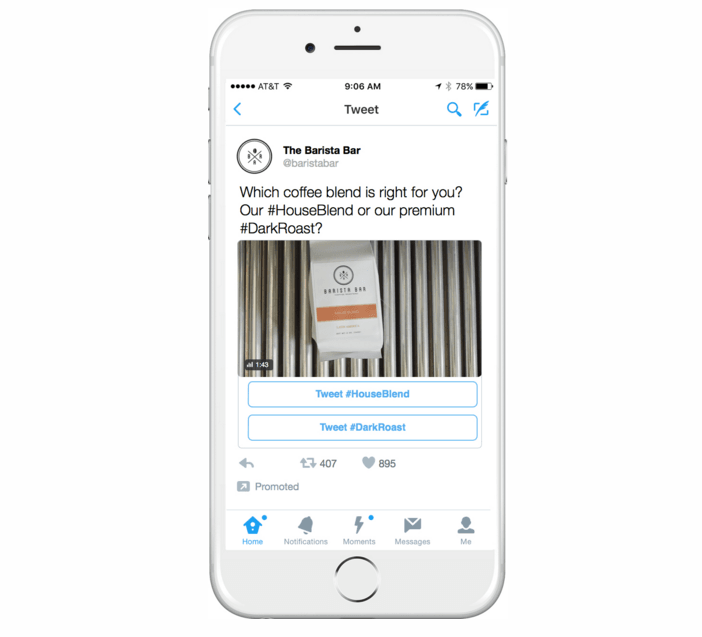 Twitter is asking its users to tell brands exactly what they think of their ads with the launch of its new conversational advertising format. You can now interact directly with ad campaigns by tapping the hashtagged, branded Tweets that appear in your timeline. A dialogue box will open up with a pre-populated Tweet, which you can then customize if you want to join the conversation. You’ll then receive an automated thank you, which offers another opportunity for them to shine as it’ll appear in your timeline along with the original message. This is much like other publishers have been doing for a while, with automated Tweet buttons from their stories that link directly into Twitter. The ads are live in beta with select brands across the world, with Samsung one of the first to try them. But brands beware. It’s already pretty easy to get in touch with someone on Twitter if you want to talk to them and it’s not always a nice conversation that people want to have.